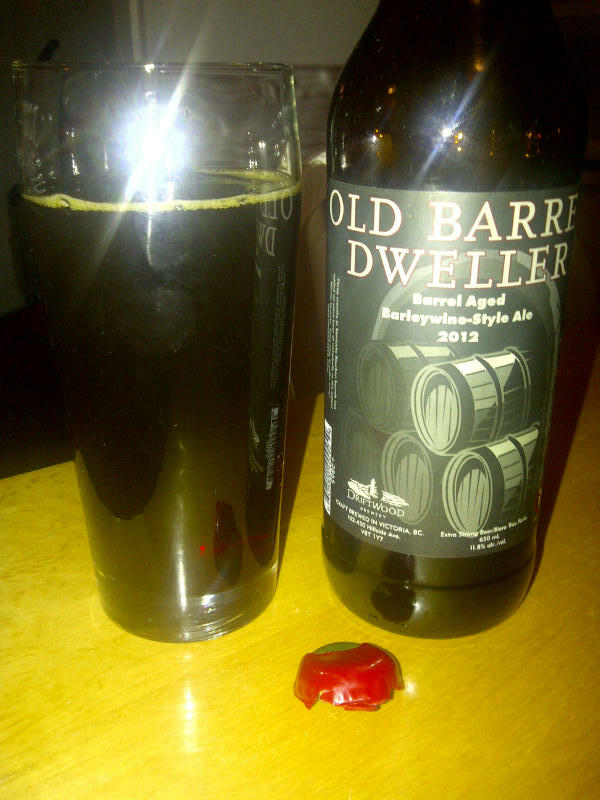 From Victoria’s Driftwood Brewing comes their “Old Barrel Dweller (Barrel Aged Barleywine) 2012 Vintage”. 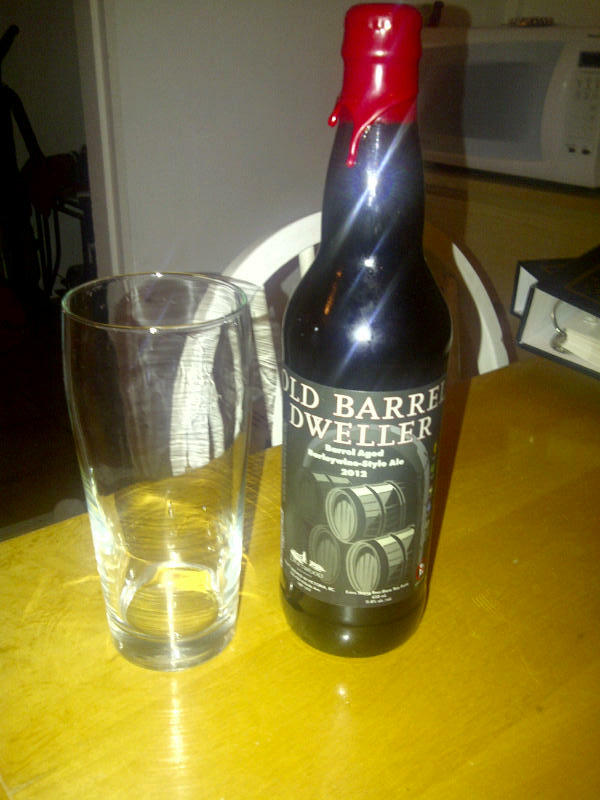 This is a Bourbon Barrel aged version of their “Old Cellar Dweller Barleywine”. This version was created for the fifth anniversary of the “Old Cellar Dweller”. This version tastes distinctly different due to the barrel ageing. The barleywine pours a deep brown with a small tan head. This beer has a deep fruity aroma with some oak and sweetness. The flavour is of dark fruits, sweetness, a strong bitterness, oak, bourbon and alcohol. There is a dry finish to this brew. The alcohol content comes in at 11.8%. This is a nice beer but will taste much better with a few years in a cellar. This entry was posted in Barleywine Ale, Barrel Aged, Imperial and tagged alcohol, barleywine, barrel aged, bc, bitterness, bourban barrel, bourban barrels, canada, dark fruit, dark fruits, driftwood brewing, dry finish, hops, hopy, oak, oaky, old barrel dweller, old cellar dweller, strong bitterness, sweetness, victoria. I see you tackled the Barrel Aged barley wines of this year. I tried, but kind of backed out after Trainwreck. Somehow… whiskey and barley wine. Not sure! I personally though trainwreck was well named. It was a bit rough for me. I liked the dweller more although it could still used aging for sure.